Lansdown: Sadly the Village Sign has gone in a housing development along with the tree and cache. Another cache in the Village Sign Series. You are looking fir a 35mm film pot. Scraptoft is a village in Leicestershire, which is effectively a suburb of Leicester. It has a population of about 1,500, measured at the 2011 census as 1,804. 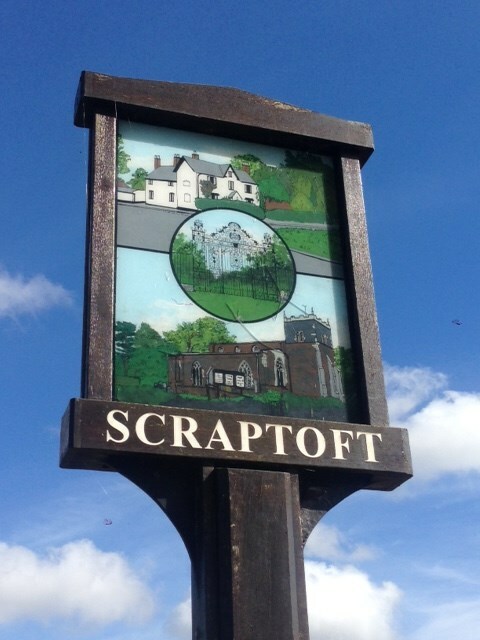 Scraptoft was recorded in the Domesday Book as Scrapentot, part of Gartree wapentake. It was held by Coventry Abbey, and had increased in value from 2 shillings at the time of the Norman Conquest to 40 shillings in 1086.The village is the site of various historic buildings including Scraptoft Hall, which is a Grade II* listed building. The Hall and its grounds were for many years used as a campus of De Montfort University and its predecessors, but this facility was closed in 2003.